I AM GOD HERE, he seemed to say, from his spot in front of the big rock at Hufnagle Park. 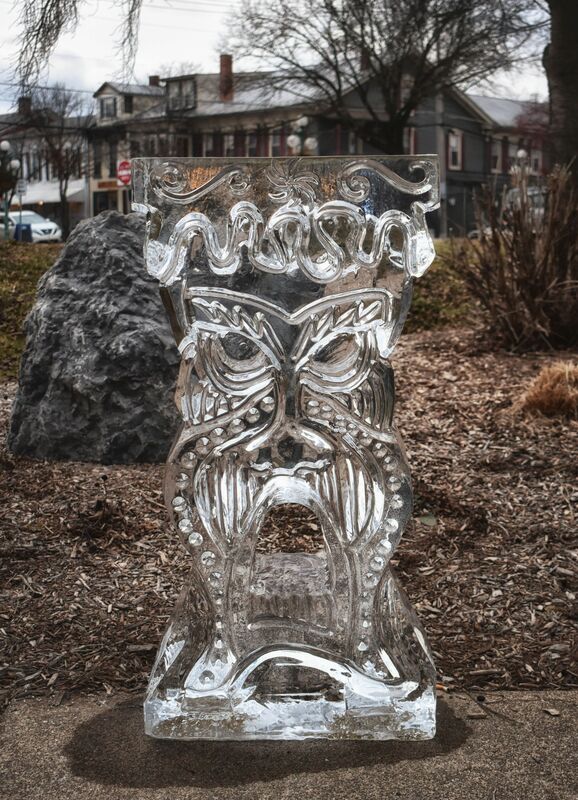 Lewisburg had its Ice Festival this weekend, complete with a tremendous amount of ice carvings decorating the streets, sponsored by various shops and organizations. There were many wonderful, or adorable, or impressive, works (stay tuned! ), but I really dug this guy. I’m not sure if he’s supposed to be a tiki god, or some sort of angry Nordic Santa, but there’s no denying his “Come at me, bro” attitude. And you know, I’m from New Jersey. I like to see that kind of attitude in an ice carving. Feels like home to me.